One of our most popular posts this offseason has been our update on new and moved NFL announcers. And if you go through that post, you’ll notice that CBS has only one entry – Marv Albert replacing Gus Johnson as a play-by-play voice. CBS shuffled its pairings a bit, but the faces and voices are the same. This isn’t the approach other networks take. 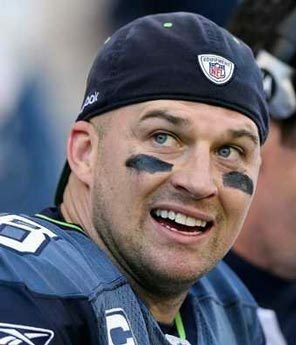 Fox, for example, has added players like John Lynch, Chad Pennington, and Michael Strahan, as well as coaches like Brian Billick and Jim Mora to its NFL Sunday crew in recents years. The two dominant franchises of the 2000s – the Colts and Patriots – are represented by Tony Dungy and Rodney Harrison on NBC’s Football Night in America. 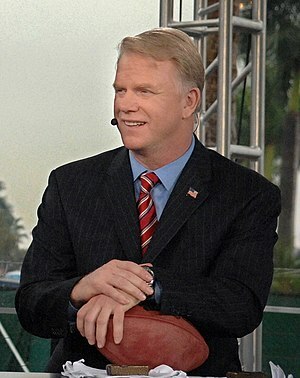 And ESPN and the NFL Network regularly add recently retired players who bring fresh insight and relevant anecdotes. CBS, meanwhile, trots out the same old, same old from Dan Dierdorf – and features it on its No. 2 team. It relies on quarterbacks from the 1980s – Dan Marino, Boomer Esiason, and Phil Simms – as its stars. The age shows, as CBS game viewers settle for traditional, surface analysis far too often. Will CBS ever have a changing of the guard among its analysts? Or do the veterans on the squad have lifetime contracts? Like the NFL itself, NFL announcers should have to fight off a new crop of rookies year after year. But at CBS, they don’t. And until CBS gets its eye off the past when it comes to NFL announcers, its coverage won’t be anywhere close to what it needs to be. 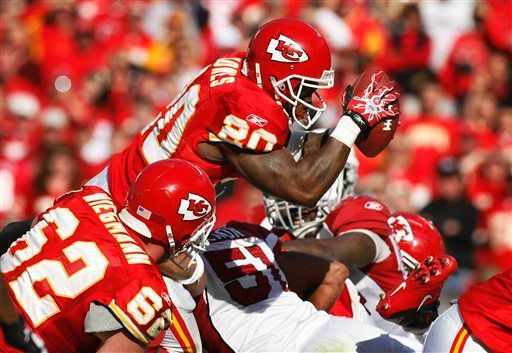 Rise – Kansas City Chiefs – After a bad loss last week, the Chiefs responded by taking care of business in a convincing victory over the Cardinals at home. It was important for Kansas City to reassert its Arrowhead home-field advantage, and the fact that Oakland lost meant that K.C. got back the AFC West lead as well. The Chiefs needed a win badly, and to get such a convincing one was a good sign for a playoff contender. Sink – Miami Dolphins – The Dolphins were offensively inept against the Bears on Thursday night, not just because of the absence of QBs Chad Pennington and Chad Henne but also because of injuries on the offensive line. Those two issues could be fatal to Miami’s playoff hopes, because if they can’t run the ball, there’s no way Tyler Thigpen can produce enough offense to keep Miami in games. Float – Washington Redskins – The Redskins pulled out a win in Nashville 19-16, but the game confirmed what we believe the Redskins to be. While Washington is a competitive team, they can’t pile up enough offense to contend against top teams, and even in this game against a quarterback named Rusty Smith, it took two personal-foul penalties to keep them going on their game-winning drive. 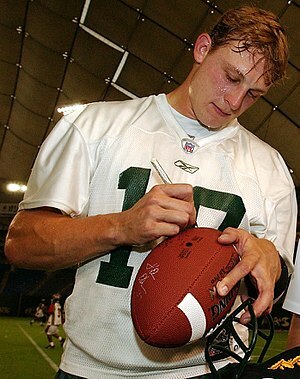 There have been a lot of quarterback switches in the NFL this year, but few were more surprising than Miami’s decision this week to replace ostensible QB of the future Chad Henne with veteran Chad Pennington. Below are some thoughts on the move and the mood in Miami, and some fantasy football takeaways as well. At 4-4, the Dolphins are at a crossroads. Their brutal schedule has led them to fall two games behind the Jets and Patriots in the AFC East, and given the stacked nature of the conference, Miami probably needs to catch one of those teams to have a realistic playoff chance. But that doesn’t mean that pulling Henne was the right move. Henne hasn’t been great, but he has completed 63.5 percent of his passes and averaged 237.5 yards per game. 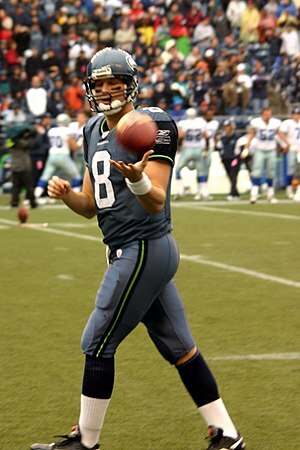 The big problems are that he has just eight TD passes with 10 interceptions. (However, some of those interceptions are not blameworthy, according to Aaron Schatz and our analysis of the Dolphins/Ravens game.) Henne threw three picks against Baltimore and also fumbled twice. (Miami recovered both, and they were Henne’s first fumbles of the season.) That provides a little bit of an impetus for change now, and it’s obvious the Dolphins want more plays from the passing game given their acquisition of Brandon Marshall in the offseason. But Henne is far more likely to get the ball downfield than Pennington, who is uberaccurate but not strong-armed. Maybe Pennington can keep the chains moving a little more consistently than Henne, especially given the fact that Miami isn’t getting the chunks in the running game that they had in the past. If the idea is to use Pennington to find Marshall and Davone Bess on short passes to open things up for Ronnie Brown and Ricky Williams, then maybe this move helps Miami a little bit in the short run. But in the long run, Henne is the only guy Miami has who has a chance of carrying the offense into the future. Our sense is that the move to Pennington isn’t going to be the key to get Miami into the playoffs. More problematic is the overall attitude in Miami right now. The Dolphins are moving the right way, and they have added a ton of young talent over the past few years. But for some reason, upper management and ownership doesn’t seem happy with the job head coach Tony Sparano and GM Jeff Ireland are doing. After Bill Parcells’ departure earlier this year, there are rampant rumors that Carl Peterson, ex-Chiefs president, is coming on board. And those rumors make this QB change look like a panic move by leadership that’s trying to protect their jobs. That’s not a good attitude to have, and it’s frankly silly for the Dolphins to turn things over at this point in the rebuilding process because things are picking up. But if ownership pressure is forcing a win-now mentality, that pressure is going to end up being counterproductive for the Dolphins – just like this QB change will. Pennington’s arrival keeps a limit on Marshall’s value. Marshall is on pace for a 104-catch, 1,236-yard game, but he has just one touchdown this season, and Pennington isn’t going to toss him many deep balls that will help him get to the end zone more frequently. Bess, meanwhile, should still catch a lot of short-range balls, which should allow him to stay in the running as a No. 3 receiver. Brian Hartline’s value falls off, to the point where you can’t start him unless he gets on a roll.